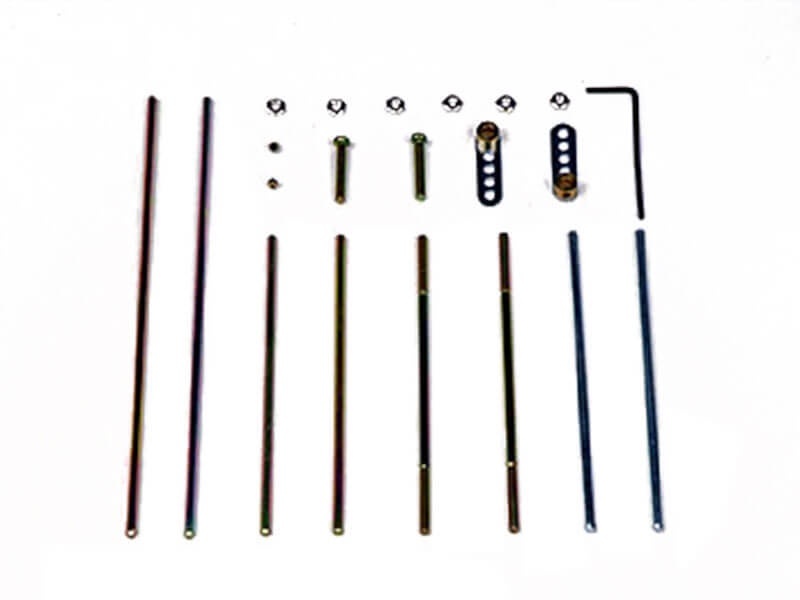 The Tamiya 3 mm Diameter Shaft Set includes two 150 mm and two 100 mm hexagonal shafts, which are compatible with Tamiya gearboxes with 3 mm hexagonal shafts and Tamiya wheels. Four 3 x 100 mm round shafts are included, two of which have 20 mm of threads on their ends for mounting pulleys. The set contains two adjustable crank arms with set screws and a hex wrench for tightening the set screws. Two 3 x 20 mm screws for mounting the crank arms and six nuts for securing pulleys are also included.